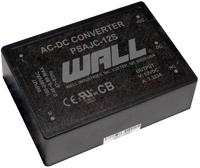 The PSAJC series of AC/DC power supplies offers 40 watts in an encapsulated design. This series has single, dual, and triple output models with a universal input range. 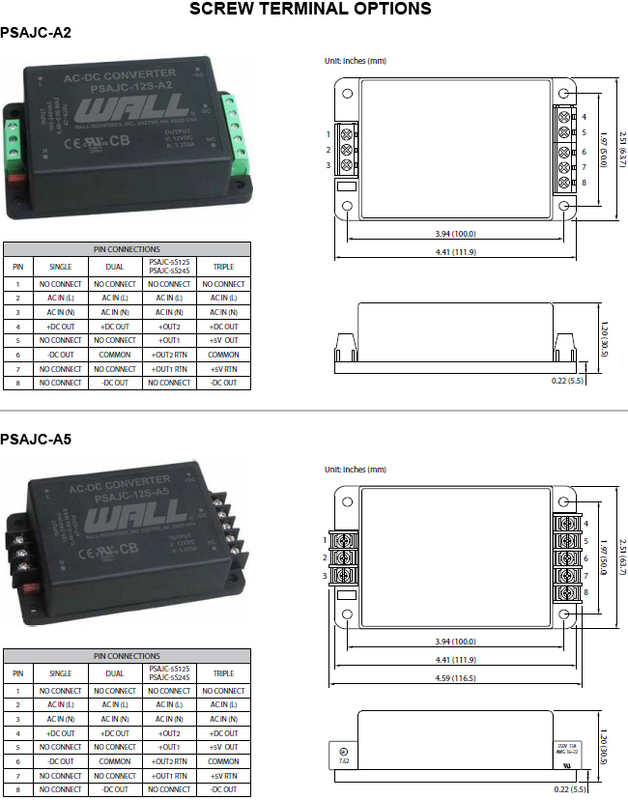 Some features include low ripple and noise, regulated outputs, and high efficiency. 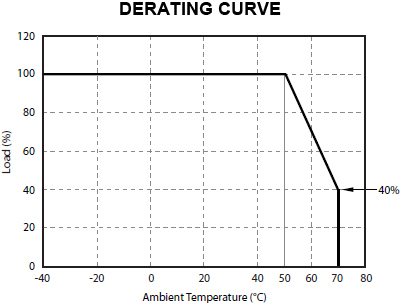 All supplies are over current, over voltage, over temperature, and short circuit protected. 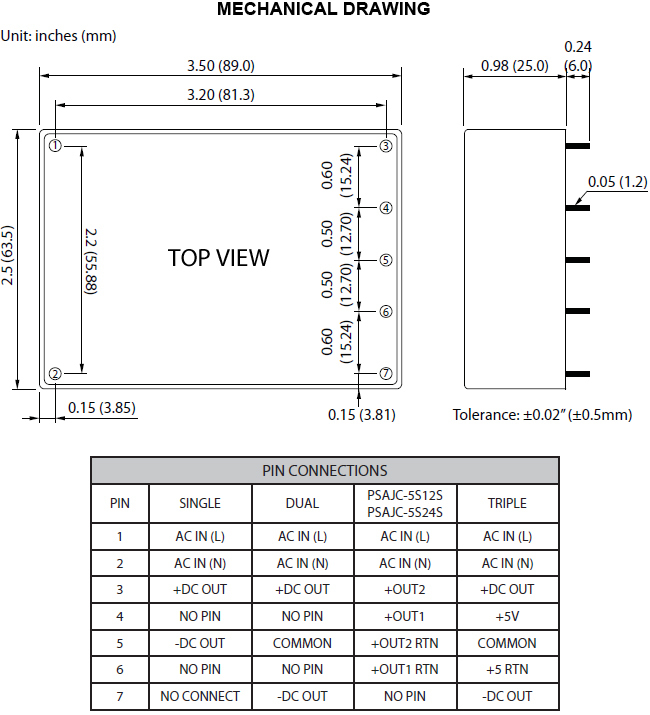 This series is ideal for PCB mounting and has 6 mechanical options available. Please call factory for ordering details. Notes: 1. All models require a minimum loading on the output to maintain specified regulations. Operation under no-load conditions will not damage these devices; however, they may not meet all listed specifications. 4. Screw terminal mechanical options available (see page 4). Please call factory for ordering details.